I have a mesh collider that is largely a flat plane facing up. 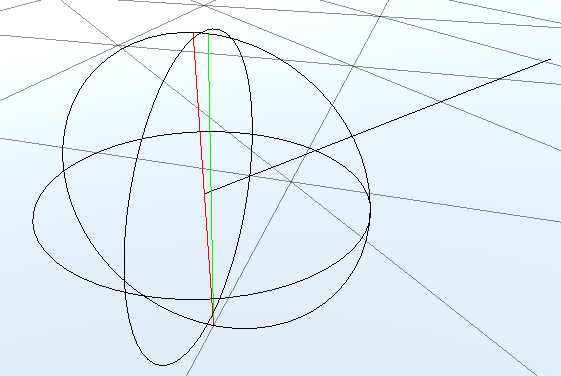 Any SphereCast against that surface should return a normal of Vector3(0, 1, 0), but that isn't always happening. When near an edge on the mesh, the cast will penetrate the face and register the hit against the edge as if it was a corner when it's really just a polygon edge on a flat surface This is giving me inaccurate hit points and normals. Hopefully the image above is interpretable. The light blue circle is where the SphereCast should stop and the pink circle is where it seems to be stopping. 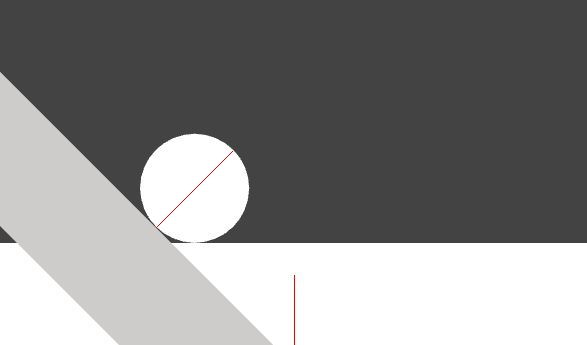 Instead of hitting the face (horizontal black line) and returning the proper normal (green line), it's ignoring the face and hitting the tri's edge (diagonal black line) and returning a lerped normal (red line) as if it were a corner. Is the SphereCast that inaccurate against mesh colliders, or am I doing something wrong? Is there anything I can do to fix this? Edit: I've added a screenshot to illustrate exactly what's happening. The black line/sphere are the cast, the green line is what the normal should be, the red line is the normal the SphereCast is returning. The normals differ by as much as 0.05m. The mesh is the default plane mesh. 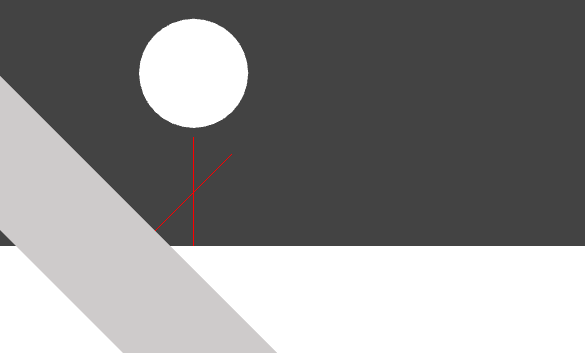 It seems like when the cast hits near a polygon edge, it snaps to the edge, giving an incorrect hit point and normal. Interesting to see what does Physics.SphereCastAll returns and see weather intersection (green vector) with horizontal line (horizontal black line) is detected at all. 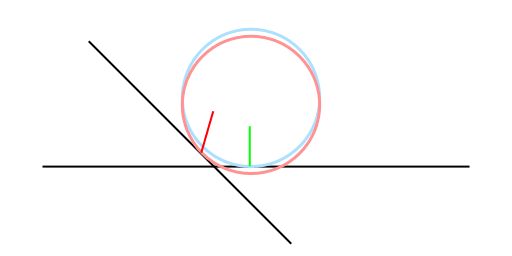 For colliders that overlap the sphere at the start of the sweep, RaycastHit.normal is set opposite to the direction of the sweep, RaycastHit.distance is set to zero, and the zero vector gets returned in RaycastHit.point. You might want to check whether this is the case in your particular query and perform additional queries to refine the result. Passing a zero radius results in undefined output and doesn't always behave the same as Physics.Raycast. Not the answer you're looking for? Browse other questions tagged unity collision-detection 3d-meshes raycasting normals or ask your own question. Why doesn't Unity's OnCollisionEnter give me surface normals, and what's the most reliable way to get them? How do I calculate normals correctly for dynamic terrain (DX11, C++)? Unity SphereCast HitInfo Give me an interpolation of the normal surface?